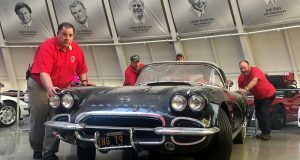 Bowling Green Corvette Assembly Plant to Temporarily Close for One Week in January - MacMulkin Corvette - 2nd Largest Corvette Dealer in the World! Detroit – General Motors has announced that they will temporarily shut down five of their assembly plants for one to three weeks in January due to a glut of inventory on dealer lots and a consumer shift toward purchasing more trucks and SUVs. Approximately 10,000 employees will receive company supplemental pay and unemployment benefits that add up to most of their pay. The Detroit-Hamtramck factory which builds the Buick LaCrosse, Cadillac CT6, Chevrolet Impala and Chevrolet Volt, and the Fairfax Assembly Plant in Kansas City, Kansas which builds the Chevrolet Malibu will be shut down for three weeks, while the Lansing, Michigan plant which builds the Chevrolet Camaro, Cadillac CTS and ATS will be shut down for two weeks. 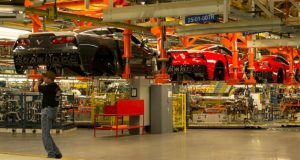 The Lordstown, Ohio factory which builds the Chevrolet Cruze and the Bowling Green Assembly Plant in Kentucky which builds the Corvette will be both be shut down for one week. 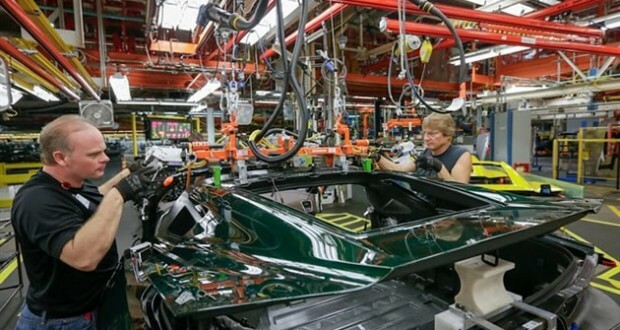 However, the Bowling Green Corvette Assembly Plant will be shut down for one week – January 1st – 6th in order to complete work on the new paint shop and conduct facility maintenance; not because of inventory issues like the other factories. 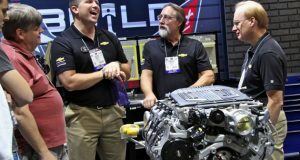 Ward’s Automotive is currently reporting that GM dealer lots have approximately 84 days worth of Malibus and a 177 days worth of Camaros sitting while most automotive manufacturers like to stay around a 60-day supply. Last month, 62 percent of all U.S. vehicle sales were trucks and SUVs due to their increased fuel efficiency, low gas prices and the consumer desire for a higher seating position with increased hauling capability. Next: Time is Running Out for 2017 Corvette Specials!